Welcome to our winter wonderland section. Winter is a season filled with wonder and we generally feel like we are in awe of the sheer beauty winter can bring. Winter creates a sort of wonderland atmosphere within us. It feels like a winter wonderland sometimes when we see christmas decorations, and beautiful snow crystals falling from the sky. Hence the name Winter Wonderland. Many pictures are successful in capturing this wonderland feeling. 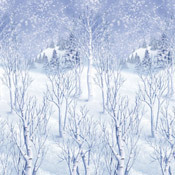 Here is our collection of winter wonderland pictures. Some of these pictures are good for making backgrounds for your computer`s desktop. To view the winter wonderland pictures in full size, just click on the pictures.